Seeing as it’s now spring, it’s time to use up those Texas grapefruit. I wanted to do like Stacy Markow and make grapefruit bitters, even perhaps using the gentian root (I couldn’t resist mentioning it! ), but I wanted to make quick cocktails instead. Heck, I’m not one for putting off my own enjoyment. I would gladly trade two cocktails tomorrow for a cocktail today. So I went searching and came across the Spring Awakening from Drink.Well. in Austin, Texas. I got it from Imbibe Magazine, but it’s originally from the cocktail and bites place in one of my favorite cities, Austin. I have not actually been to Drink.Well., but from their cocktail menu, it sounds great! I went ahead and included their current cocktail menu below the post. Yes, they feature a drink with malort! shake well, and strain into an absinthe rinsed glass. That means you put a little ice in your already chilled cocktail glass, swirl it around and then dump it, kind of like some people do with dry martinis. The absinthe really comes through, but mostly in the nose and then on the back of the tongue. 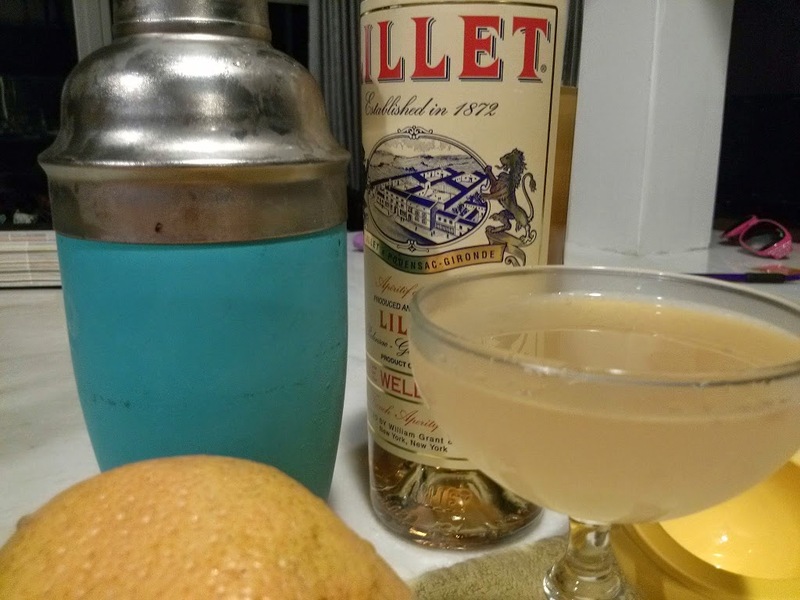 It’s the grapefruit that shines here, especially with the Lillet. The two of them work wonderfully together. It’s refreshing and light, yet pretty boozy at the same time. It tastes like…spring. So drink one whenever spring finally hits your town. Or when you want spring to hit. Or, like me, you need to use up the fifteen pound bag of grapefruit you bought for $3.50. Either way, a damn good drink. And I know where I’m going the next time I’m in Austin! Previous PostSpirit Review: Yellow Rose Distilling’s Straight Rye WhiskeyNext PostTexas Cocktail News, April 18, 2014: Sugar Land cocktails, new bars, pop up cocktails, expensive limes, and more grapefruit! This sounds so delicious – and man I love Lillet. Yes, it’s a great drink from what sounds like a great place. I agree about Lillet, too. Sometimes I drink it on ice with a light dinner. Sounds gauche, but it’s good. I can’t wait to start experimenting with smashes, by the way. Thanks for hosting MxMo!